Patterns are various fundamental movements, most of which represent either attack or defence techniques, set to a fixed logical sequence. In patterns the student systematically deals with several imaginary opponents under various assumptions using every available attacking and blocking tool from different directions. 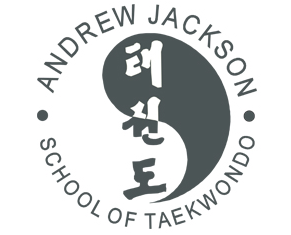 Thus pattern practice enables the student to go through many fundamental movements in series to develop sparring techniques, improve flexibility of movements, master body shifting and gain rhythmical movements. In short patterns can be compared with a unit tactic or a word if fundamental movement is an individual soldier's training or alphabet. Accordingly pattern the ledger of every movement, is a series of sparring, power tests, feats and characteristic beauty. Though sparring may merely indicate that an opponent is more or less advances, patterns are a more critical barometer in evaluating an individual's technique. 1. Patterns should begin and end in the same spot. 3. Muscles of the body should be tensed or relaxed at the proper critical moments in the exercise. 4. The exercise should be performed in a rhythmic movement with the absence of stiffness. 5. Each pattern should be accelerated or decelerated according to instructions. 6. Each pattern should be perfected before moving on to the next. Gwang Gae Tul consists of 39 movements. Gwang Gae is named after the famous Gwang-Gae-To Wang, the 19th King of the Koguryo Dynasty, who regained all the lost territories including the greater part of Manchuria. The diagram (+) represents the expansion and recovery of lost territory and the 39 movements refer to his 39 year reign. To see me perform Gwang Gae Tul or to see the diagram for Gwang Gae Tul or to see the Korean and English translations for the movements in this pattern, please click here. Po-Eun Tul consists of 36 movements. Po-Eun is the pseudonym of a loyal subject Chong Mong-Chu (1400AD) who was a famous poet and whose poem 'I would not serve a second master though I might be crucified a hundred times' is known to every Korean. He was also a pioneer in the field of physics. The diagram (-) represents his unerring loyalty to King and Country towards the end of the Koryo Dynasty. To see me perform Po Eun Tul or to see the diagram for Po Eun Tul or to see the Korean and English translations for the movements in this pattern, please click here. Gae-Baek Tul consists of 44 movements. 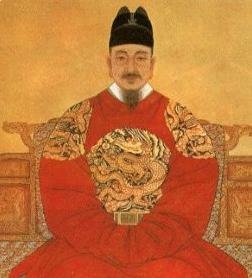 Gae-Baek was a great General in the Baek Je Dynasty (660AD). The diagram (|) represents his severe and strict military discipline. To see me perform Gae Baek Tul or to see the diagram for Gae Baek Tul or to see the Korean and English translations for the movements in this pattern, please click here. Eui-Am Tul Eui-Am Tul consists of 45 movements. Eui-Am is the pseudonym of Son Byong Hi, leader of the Korean Independence movement on March 1st 1919. 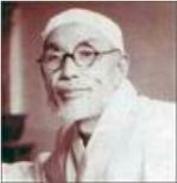 The 45 movements relate to his age when he changed the name of Dong Hak (Oriental Culture) to Chondo Kyo (Heavenly Way Religion) in 1905. The diagram (|) represents his indomitable spirit displayed while dedicating himself to the prosperity of his nation. To see me perform Eui Am Tul or to see the diagram for Eui Am Tul or to see the Korean and English translations for the movements in this pattern, please click here. Choong Jang Tul consists of 52 movements. 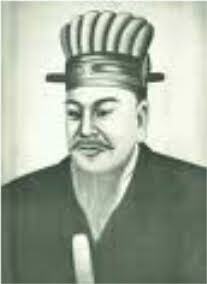 Choong Jang is the pseudonym given to General Kim Duk Ryang who lived during the Yi Dynasty in the 15th century. The pattern ends with a left hand attach to symbolise the tragedy of his death at 27 in prison before he was able to reach full maturity. To see me perform Choong Jang Tul or to see the diagram for Choong Jang Tul or to see the Korean and English translations for the movements in this pattern, please click here. Ko-Dang Tul consists of 39 movements. 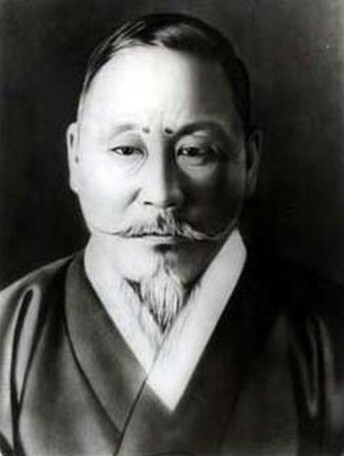 Ko-Dang is the pseudonym of the patriot Cho Man Silk who dedicated his life to the Independence Movement and the education of his people. The 39 movements refer to his times of imprisonment and his birthplace on the 39th parallel. To see me perform Ko Dang Tul or to see the diagram for Choong Jang Tul or to see the Korean and English translations for the movements in this pattern, please click here. Sam-Il Tul consist of 33 movements. Sam-Il denotes the historical date of the Independence Movement of Korea, which began throughout the country on March 1st 1919. The 33 movements in the pattern stand for the 33 Patriots who planned the Independence Movement. To see me perform Sam Il Tul or to see the diagram for Sam Il Tul or to see the Korean and English translations for the movements in this pattern, please click here. Yoo-Sin consists of 68 movements. Yoo-Sin is names after General Kim Yoo-Sin, Commanding General during the Silla Dynasty, who united the three separate Kingdoms of Korea. The 68 movements refer to the last two figures of 668AD, the year Korea was united. To see me perform Yoo Sin Tul or to see the diagram for Yoo Sin Tul or to see the Korean and English translations for the movements in this pattern, please click here. Choi-Yong Tul consists of 46 movements. Choi-Yong is named after the General Choi Yong, Premier and Commander in Chief of the armed forces during the 14th century Koryo Dynasty. 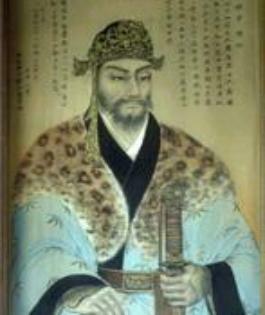 Choi Young was greatly respected for his loyalty, patriotism and humility. He was executed by his subordinate commanders headed by General Yi Sung Gae, who later became the first King of the Yi Dynasty. To see me perform Moon Mo Tul or to see the diagram for Moon Mo Tul or to see the Korean and English translations for the movements in this pattern, please click here. Yon-Gae Tul consists of 49 movements. Yon-Gae is named after a famous General during the Koguryo Dynasty, Yon Gae Somoom. 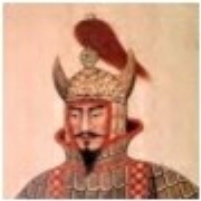 The 49 movements refer to the last two figures of 649AD, the year he forced the Tang Dynasty to quit Korea after destroying nearly 300,000 of their troops at Ansi Sung. To see me perform Yon Gae Tul or to see the diagram for Yon Gae Tul o or to see the Korean and English translations for the movements in this pattern, please click here. Movement 45 should be performed as jumping back kick but due to a permanent ankle injury I perform a standing back kick. Ul-Ji Tul consists of 42 movements. 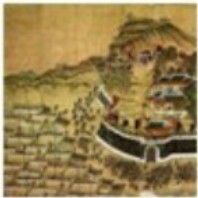 Ul-Ji is names after General Ui-I Moon Dok, who successfully defended Korea against a Tang invasion force of nearly one million soldiers, led by Yang Je in 612AD. Ul-Ji, employing hit and run guerrilla tactics, was able to decimate a large percentage of the force. The diagram (Z) represents his surname. The 42 movements represent the author's age when he designed the pattern. Moon-Mo Tul consists of 61 movements. Moon-Mo honours the 30th King of the Silla Dynasty. 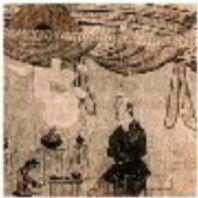 His body was buried near Dae Wang Am (Great King's Rock). 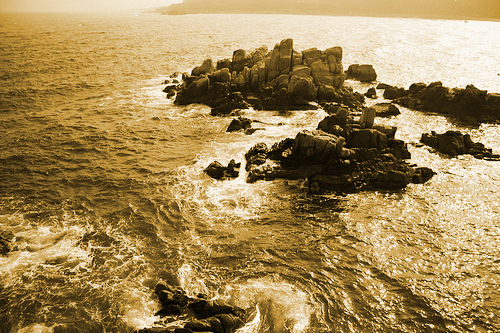 According to his will the body was placed in the sea "where my soul shall forever defend my land against the Japanese". It is said that the Sok Gul Am (Stone Cave) was built to guard his tomb. The Sok Gul Am is a fine example of the culture of the Silla Dynasty. The 61 movements symbolise the last figure of 661AD when Moon Mo came to the throne. To see me perform Moon Mo Tul or to see the diagram for Moon Mo Tul o or to see the Korean and English translations for the movements in this pattern, please click here. So-San Tul consists of 72 movements. 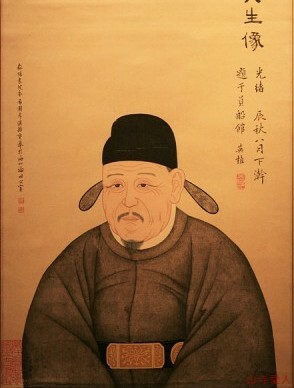 So-San is the pseudonym of the great monk Choi Hyong Ling (1520-1604) during the Yi Dynasty. The 72 movements refer to his age when he organised a corp of monk soldiers with the assistance of his pupil Sa Myung Dang. 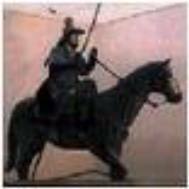 The monk soldiers helped repulse the Japanese pirates who overran most of the Korean peninsula in 1592. To see me perform So-San Tul or to see the diagram for So-San Tul o or to see the Korean and English translations for the movements in this pattern, please click here. Se-Jong Tul consists of 24 movements. Se-Jong is named after the greatest Korean King, Se Jong, Who invented the Korean alphabet in 1443, and was also a noted meteorologist. The diagram represents the King, while the 24 movements refer to the letters of the alphabet. To see me perform Se Jong Tul or to see the diagram for Se Jong Tul or to see the Korean and English translations for the movements in this pattern, please click here. 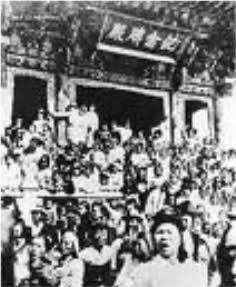 Tong-Il Tul consists of 56 movements. Tong-Il denotes the resolution of the unification of Korea, which has been divided since 1945. The diagram symbolises the homogeneous race.